Muslims today live in a highly complex world. Globalization has enabled an interaction of cultures and knowledge at an unprecedented speed. Science is reaching new heights, as breakthroughs in medicine, genetics, technology and the media are revolutionizing the way we live and think about ourselves and the future. But at the same time, we find the global economy at a crisis point as the state of the environment is also deteriorating rapidly. As more and more wealth is produced the desire to hold on to that wealth intensifies: as we have seen time and time again the search for cheap labour and natural resources – in order to make the things we need to live a comfortable modern life – can easily overrule concerns over human rights or the preservation of nature. The modern age is all at once an age of great promise and great problems. We find the potential of a better world existing side by side with the very phenomena that threaten progress. More worryingly, such changes are taking place quickly, with newer challenges emerging every day. So great is the challenge that the problem cannot be said to belong to any particular person, culture or nation. As the fall of Mubarak clearly demonstrated, news of what happens in one country becomes a topic of discussion in another country far away. Or take another example: The fact that the air we breathe is deteriorating in quality is not a Muslim problem or a Western problem, but a human problem, one that knows no boundaries. All this is to say that Muslims stand at the crossroads of far reaching and fascinating changes. Every day, we are continuously exposed to different ideas and ways of life that challenge our presumptions of what is wrong and right. All this in fact, has caught us by surprise. For one Muslims can no longer depend on conventional and traditional approaches to learning and knowledge. The “the Muslim authority”, as the master memorizer can no longer match the pace and dynamism of modern life. Nor can preoccupations with moral policing, repressing women and fantasies of a caliphate really match the vitality of modern aspirations. Muslims are facing new problems that the canon of tradition had never really dealt with or anticipated. It is time for new ideas, new paradigms, new worldviews and attitudes. Islam, in other words, needs reform. But what does “new” mean for the current context of Islamic learning and thought? What should it mean? Is it simply accommodating Islam to suit and fit whatever that is already there? Is it repackaging Islam to appear trendy, fashionable and friendly to others? Is it simply saying that whatever is Western is also Islamic? Some five hundred people gathered at the Renaissance Hotel with Tariq Ramadan on the 14th of July 2012 to reflect on these questions. The talk was held in conjunction with the Islamic Renaissance Front’s annual fundraiser, where their members, friends and allies gathered to explore the issue of Islamic Reform in the contemporary world. But what is reform in the first place? 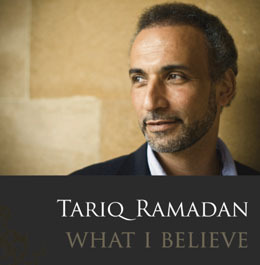 Tariq Ramadan was quick to clarify that for him the reform that is needed in the present age is not intended to signify any change in the foundations of the Islamic faith. It should not be geared towards surpassing the canonical texts. The text, indeed, should be taken seriously. The goal, however, is to rediscover Islam in light of present realities: to achieve a new level of understanding Islam while maintaining an open, clear and more importantly non-defensive posture towards the advances achieved in the modern age. Part of what this requires is the reclamation of Islam’s agenda for social justice. Tariq Ramadan stressed the fact that Islam’s original mission was to liberate the oppressed of Mecca towards an agenda of justice for all. This, sadly, has been overlooked by Muslims in the name of being attached to regressive agendas such as Hudud and imposing the Shariah on non-Muslims. What this means is that Muslims must go beyond mere adapting to the modern world towards transforming it to a higher state of justice. 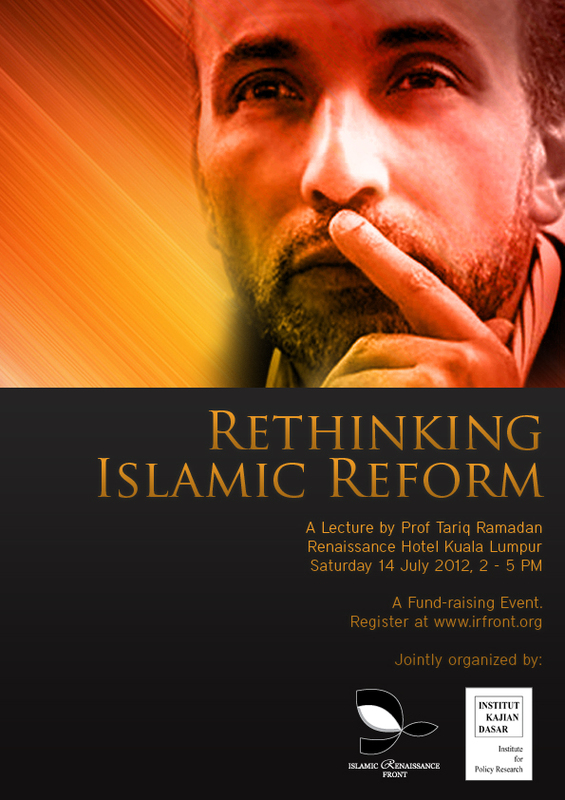 Tariq Ramadan gives the example of the increased absorption of Islam into mainstream institutions of liberal economics, out of which the fields of so called “Islamic” finance and “halal” corporatization has recently emerged: The process merely looks to “Islamize” objects and products for commercial benefits, without looking into the very problem of commercialization and corporatization itself. What makes this Islamically acceptable to Muslims is the fact that some Islamization procedure was implemented without ever needing to address the moral essence of the issue. It would suffice for some highly paid Ulama to bless or approve of certain transactions without the public ever being informed about their social or environmental costs. In this Tariq Ramadan emphasizes that it is precisely because the oppressive mechanisms embedded in the modern world is becoming ever so complicated, Muslims must be ready to seriously engage with the Western humanities as well as social and natural sciences. More importantly, this will also require a configuration of what we understand by faith. Muslims can no longer appreciate faith synonymously with blind adherence to some religious figure. The idea of autonomy and freedom, and the courage to think and challenge taken for granted notions will have to take centre stage in this project. But this cannot come at the compromise of Islam itself. Tariq Ramadan stressed that to bring Islam to bear with the advances of the modern world does not mean that Islam is to be completely absorbed into all things modern. What is needed is an open two way street of dialogue. Just as Islam must not be afraid of defensive with regards to modernity, our understanding of what is modern must also be open to scrutiny and critique. One cannot criticize blind faith in Islam only to replace it with blind faith in modern values. This became apparent in Ramadan’s response when the question of whether or not there is a place for gays in Islam was posed. The audience member who raised the question pointed to the deep and serious difficulty with which Muslim homosexuals endure the pain of being alienated by their faith community. To this Tariq Ramadan was unwavering in his position that Allah has designed the world in particular for men and women to be partners. This of course does not mean that homosexuals must be estranged or mistreated, but that while they are welcomed to be a part of their community, their acts cannot be condoned by Islam. Thus while the autonomy of the individual is tolerated, autonomy itself in no way makes his or her choice automatically Islamic.